Most of you will have seen Rob Wilsons work on this & other forums. I had the pleasure of meeting Rob a few weeks ago . 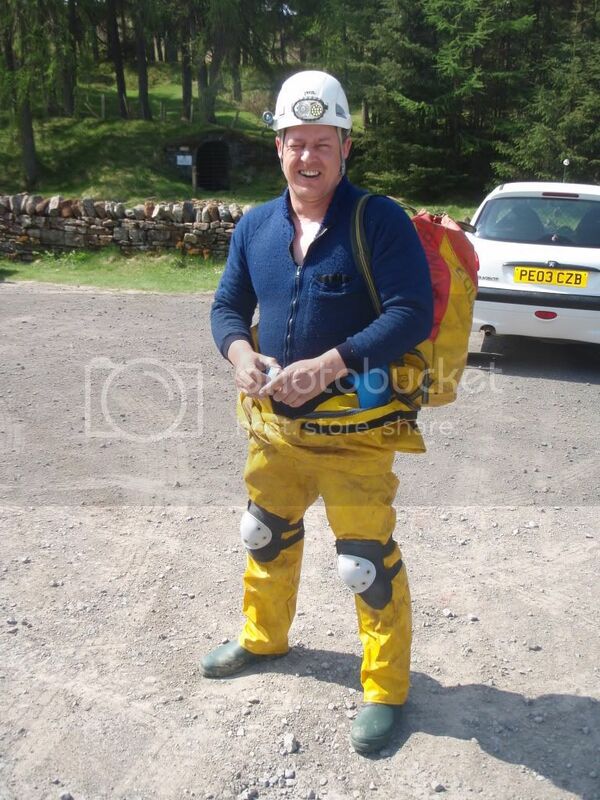 (like mountain rescue but in disused metal mines). He listend intently as i gave him a quick safety brief & told him his insurance was void in such places . 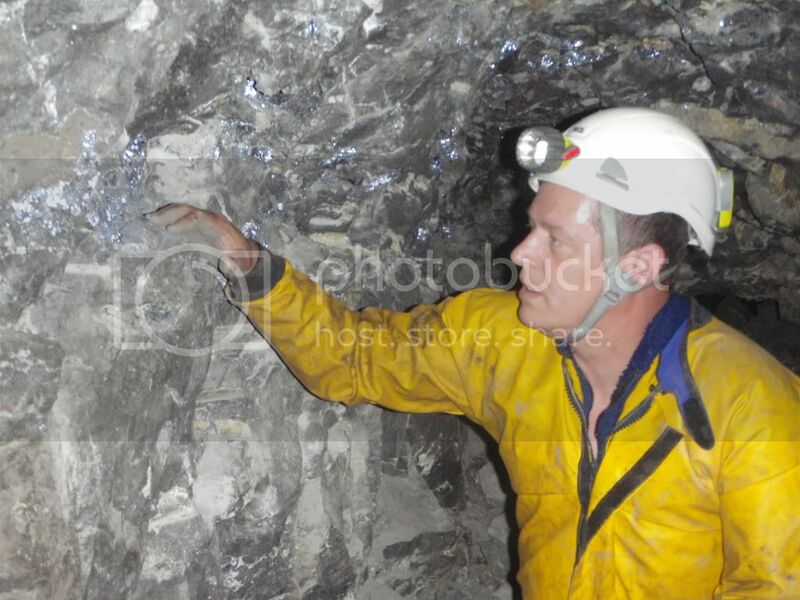 As soon as we enterd the mine you could sense he would be ok (some people dont like the wet dark atmosphere) we had a quick smoke (no gas in metal mines) to allow our eyes to get used to the dark. The futher in we went the more questions he asked untill finaly we came across a good pice of ore , he picked up a piece the size of youir head and slowly fondled it. After a couple of hours we reached the point where we had to head back out to day . Great post looked like a fun day, some great underground shots. EDIT ... not St Cuthberts, that's in Northumberland, some other St . The non-public bits of Wookey Hole . some of, big system that ..
All coming back, ....... when does he do a sump then ?? BTW What happened to the telly programs of Syd Perou (?) could do with seeing them again, instead of the mindless carp on now .. Entrance looks a bit posher ..
Just starting to recover now form my day out with John ,i used parts of my body i hardly ever use ,like my legs ,,,,,,,,, What a trip it was to ,,, I have always had an interest in were or raw materials come from , so when John told me he was part of a mine rescue team and he goes of exploring old mine workings ,and then offered to take me down an old mine i jumped at the chance . 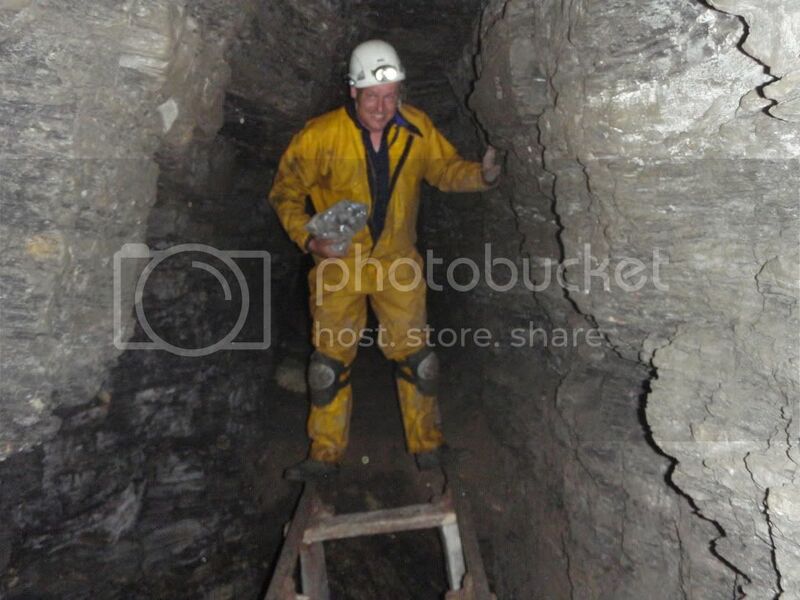 John has a good knowledge of the mine working and took the time to explane everything as we crawled (OH my knees ) ,stooped and splashed or way through the workings Like why we were walking on what was the roof due to cave-ins , what the many deep shaft were for , and the general why ,how ,whats i came out with . 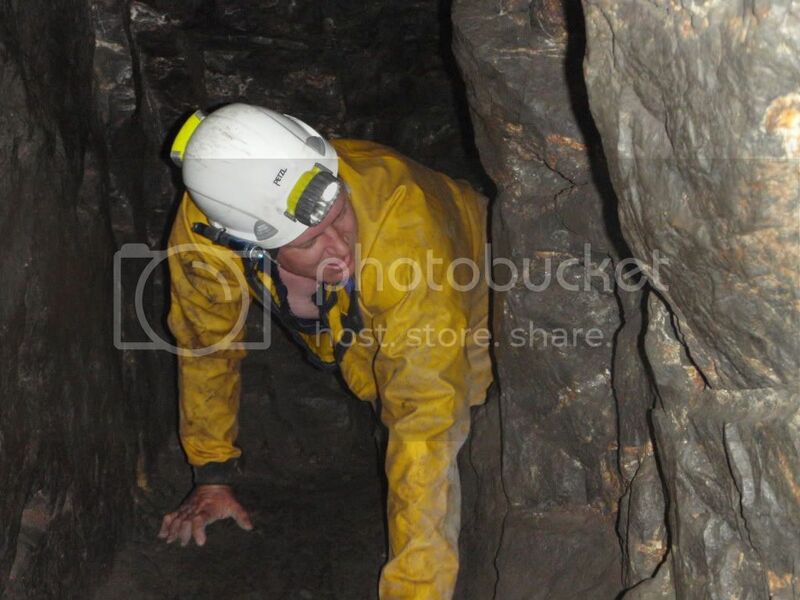 Great post, brings back memories of caving,(pot holing in England) in West Virgina, Virgina and Kentucky. Best day was when I did the wild cave tour in Mammoth Cave. 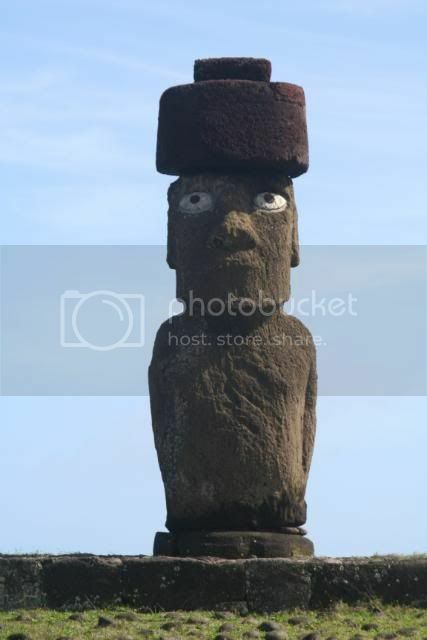 They take you on an 8/10 hour trip to some parts the tourists never get to see. Last vertical I did was Hellhole in West Virgina, 180' first drop, about 90'second and last 45' great going in. tried by the time you Prusik out. Type of knot and loop you climb the rope out. You might have warned us about all the big pic's of Rob in the first post. I opened it up on the computer and the dog stuffed it tail in-between it's legs and has hid behind the welsh dresser and won't come out. All it does is wimper. Last sump I did was on a Leyland 680 fitted in a Shell Aircraft Refueller. 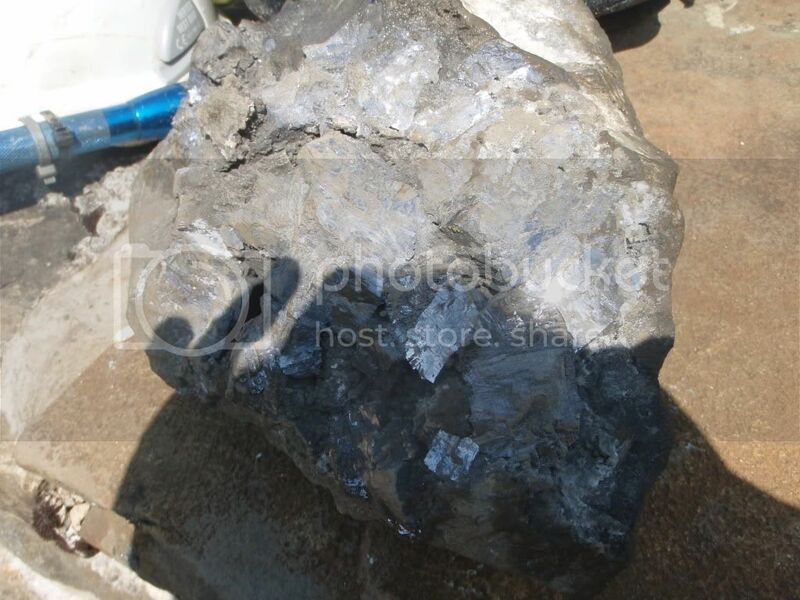 What kind of ore have you brought home with you, Rob? Sumps? Hmmm...... Thanks Dave! Not my favourite places. As one who doesnt like confined spaces... this is not for me... I recently had occasion to tell Rob that he was a nutter.... If I had any reservations about this title...theyre certainly gone now! Maybe .... maybe not ??? Good for them, I remember when they made a couple connections in the Mammoth cave system here. Was a lot of happy cavers that knew it was only a matter of time. That cave diving can be a real killer. I believe more people have died cave diving than any other way. To be young again and wandering the bowls of the earth. Really great sights to see and amazing formations. It also real isn't that bad as in the dark you can't see the walls and roof so it doesn't feel so closed in. 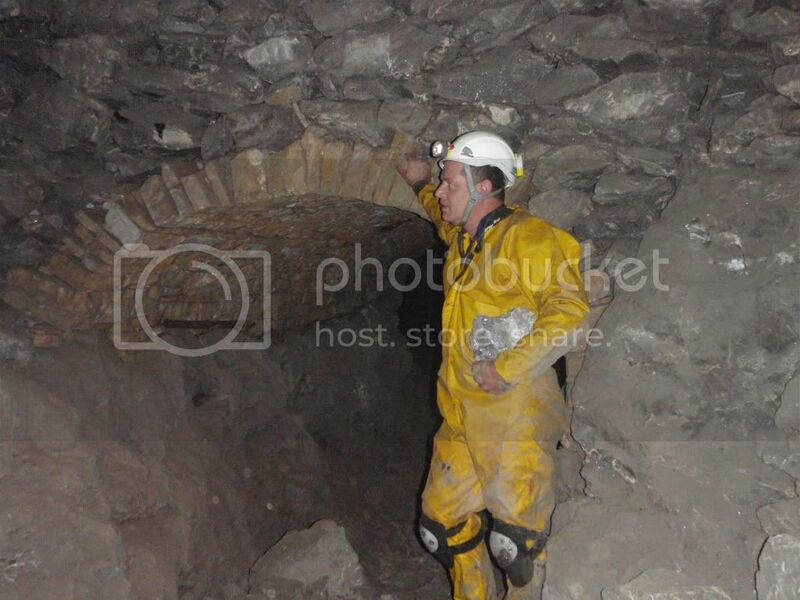 Other than when you have to go through one of the real small holes or passages. Which they had the digital cheap cameras back then. Kill nothing but time, take nothing but pictures and leave nothing but foot prints! Hi John!!! is it quartz???? 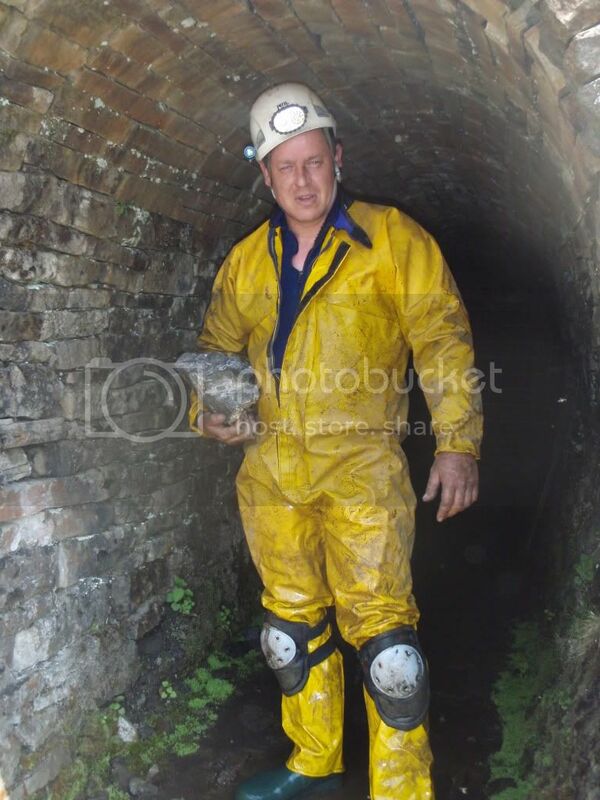 Just read this post after John linked to it over on MWF and when I read the aforementioned sentence, I wondered why would you have a mine rescue team for disused metal mines. Then I figured it out - it is for when Rob getting himself stuck when going back for more ore!